According to The Hill’s article about Kanye West, West thinks that Africans that were brought to America as slaves were given a “choice” to become slaves. Kanye West was seen with President Trump and many people thought that he got his slavery comment from Trump. He created a controversy in the black community. He might have done this because he loves getting attention. On Wednesday, April 25, West tweeted “You don’t have to agree with trump but the mob can’t make me not love him.” Kanye lost millions of followers for tweeting positive things about Trump. West was seen wearing a Trump’s “Make America Great Again” hat, and posted a picture on Twitter. He also made a statement that said, “Slavery was a choice.” This angered a lot of people to the point where his own wife called him out on Twitter to stop the nonsense. His friend, John Legend, reached out to him and told him that “Abraham Lincoln freed slaves and also helped them, and that he was Republican. And that Republicans were the ones who helped a black people back then.” And he ended the text with “Not trying to manipulate your freethought; Trying to inform you!” West tweeted a screenshot of the messages, and many people said that Legend genuinely was just trying to inform him and his fans on how the topic of slavery is really sensitive to many people. People thought it was low of West to post a private conversation with his friend on Twitter. 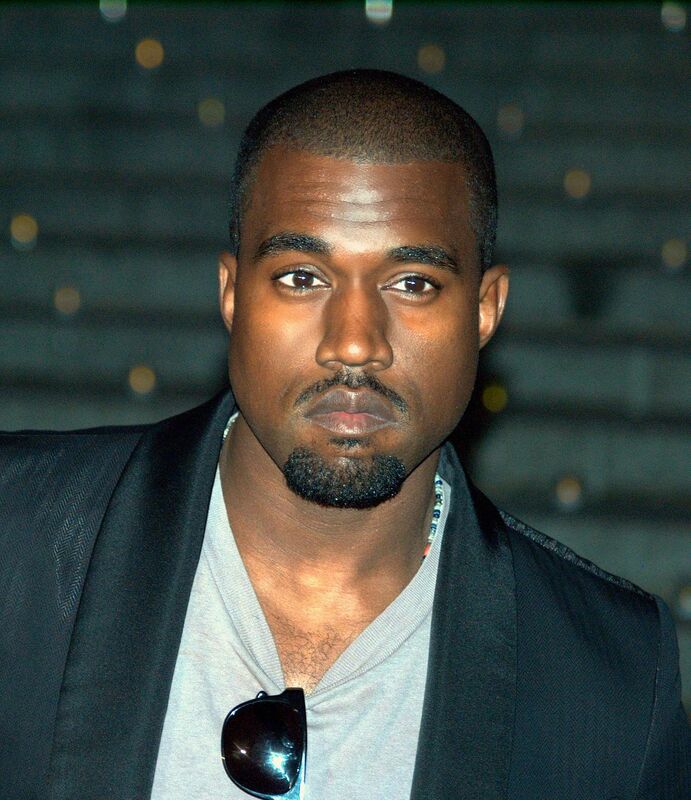 Many celebrities that idealized Kanye for his music and personality were very disappointed and hurt by his comments. According to a Nicki Swift article, singer Will.i.am said, “And when you’re a slave, you’re owned,” he said. “You don’t choose if you’re owned… That statement is one of the most ignorant statement that anybody who came from the hood could ever say about their ancestors, that slavery is a choice”. Will.i.am reacted to Kanye’s comment because his great-great-grandmother was a slave. He believed that slavery wasn’t a choice, and Kanye was wrong to say that it was. Another celebrity that spoke about Kanye’s comment was the singer Eve. She said, “You want to be a free thinker, you want to be thought provoking, you cannot have these ideas without facts to back them up. Slavery is a fact. Slavery is part of our history… We are still feeling the effects of slavery within our community, within our culture. It hurts me”. Eve spoke about how slavery still affects the black community to this day, and couldn’t have been a choice. Kanye West doesn’t know that the comments he made on slavery, and supporting Trump, caused him his followers on Twitter, and hurt his career. He just thought he was expressing his opinion, which he was but, it caused really bad tension between him and the black community because what he said was not true. Also, many African Americans saw him as a role model, so for them to hear Kanye say those comments really hurt them. Coachella successfully evolved in its music festival this year; Beyonce made history during Coachella in 2018, as she was the first black women to headlined Coachella. She also had a stage full of people dancing and singing with her, and had more than 100 dancers and marching band members. Beyonce delivered a cultural performance which really set an unforgettable performance. Beyoncé’s theme for the set was “homecoming,” because she wanted to evaluate black history, and she also wanted to honor black college students. Each time Beyoncè went on stage to perform a new song she came out with a different outfit. Beyoncé first entered her performance wearing a Balmain look because she wanted to channel the Egyptian queen Nefertiti. Her dancers wore catsuits. Her yellow Balmain hoodie was a casual change for Beyoncé, she styled it with denim cutoffs and Christian Louboutin boots that complemented the style. The letters on her hoodie meant a lot of things like: the queen is Bak, and B, K are her initials, but we really don’t know what it actually means. 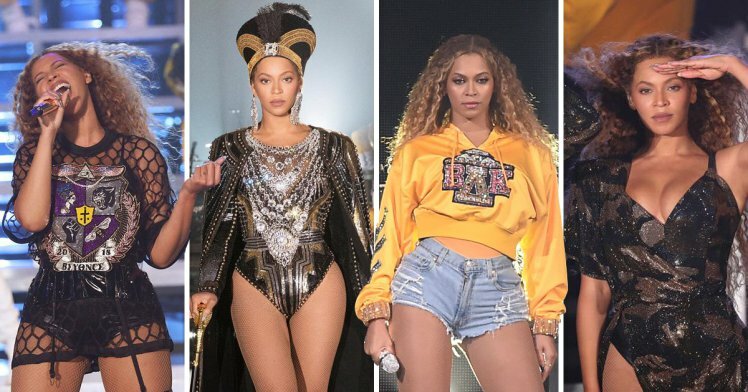 The next outfit was a glittery mesh Balmain top that said “Beyonce 2018,” but the crest on it also had an image of an Egyptian Royal, a fist to represent “black power”, a black panther, and a bee. She then wore the black latex bodysuit and jacket to complete her Coachella performance. Spring break is the time of year everyone looks forward to because it’s that time of year where you can travel. Go see new places possibly meet new people. There are a lot of places to travel, like Wisconsin, California, even outside of the country. I (Ilham) traveled inside the state to Eden Prairie where I helped my cousin clean her house. 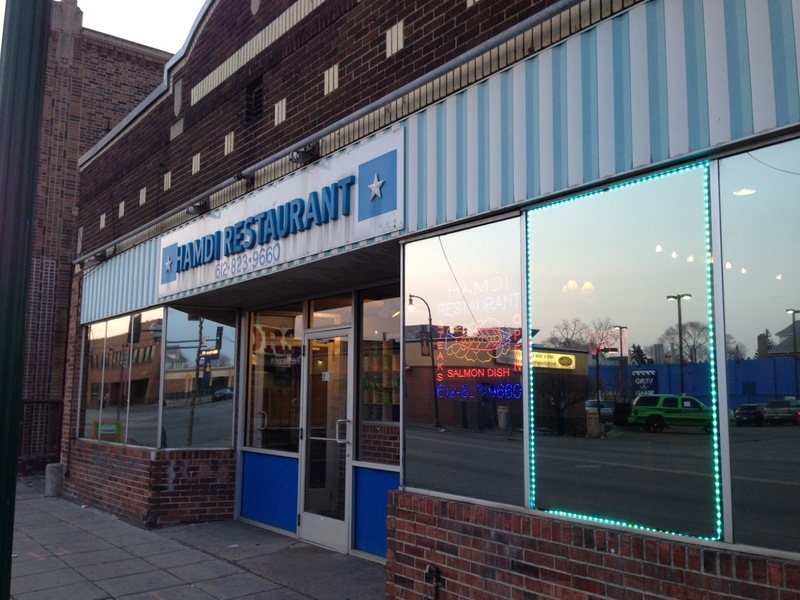 I also traveled to Minneapolis to eat at a really fancy Somali restaurant; the restaurant was called Hamdi. I had the rice and chicken, and man when I tell you the food was really good, it was really good. During spring break I (Anisa) just stayed home and caught up on my shows that I missed. Watching shows during spring break makes me feel relaxed because I don’t have to worry about anything like school work and other stressful things. Netflix, Hulu and Xfinity Stream comes in handy during spring break because you can easily binge watch all shows. I also watched hilarious YouTube videos. The pranks that they do is so hilarious. Basically, I found out you don’t have to travel to enjoy spring break. I (Mariam) didn’t travel far during spring, the only different city I went to was Minneapolis. 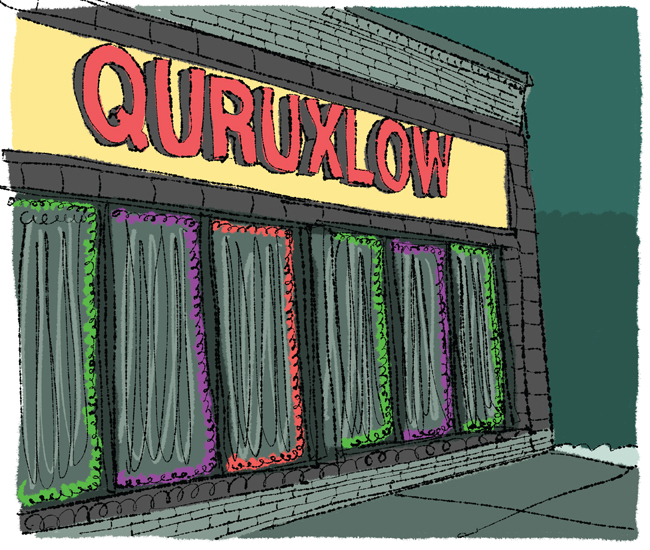 I went to this famous Somali restaurant in Lake Street called Qurxloy; the food there is amazing. Most of my spring break I spent at my grandmother’s house, because it’s so quiet in there and I intended to be in relax mode all spring break long. Obviously, I started watching a new show during spring break. I started watching a show called This is Us, I strongly recommend people to watch that show, because it’s filled with family drama, and healing. I also spent some time with my younger brother because we don’t really hangout a lot, except for the weekends, so it was great to spend some time with them. 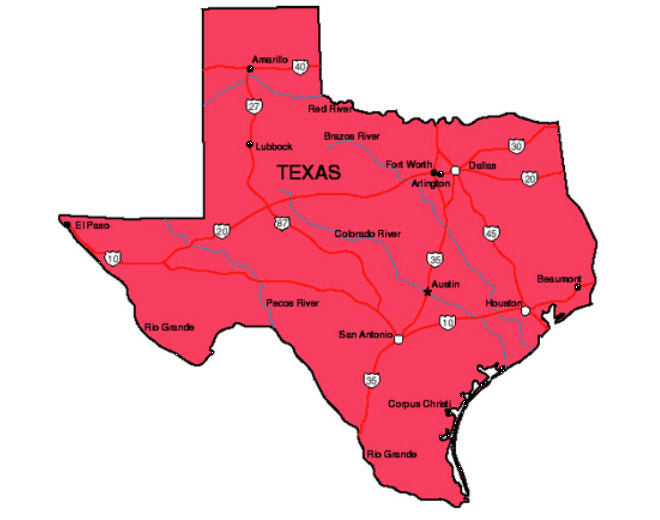 During my spring break I (Sagal) traveled to Dallas, Texas. I went to visit family. It was really fun. The weather over there was really hot, and humid. It also rained a little while I was there. But overall, my trip was great. I did a lot of fun activities with my cousins, like go-karting, bowling, golfing, and a lot more. I will totally be going back next spring break. Back in 2009, Chris Brown pleaded guilty to assaulting Rihanna during an argument. This news was all over the Internet. Everybody was shocked to hear this news because people thought of them as the perfect couple. This incident made Chris Brown lose many of his fans because they didn’t tolerate domestic violence. According to CNN Judge Patricia Schnegg: “I want Mr. Brown treated as any other defendant who comes to this court.” At the time, Chris Brown was 19 years old. He felt like abuse was a way to express his feelings, because that’s how Brown was raised. Allegedly, his stepfather used to beat his mother and it influenced him. What he did was not okay, but he thought it was. Obviously, he was wrong. 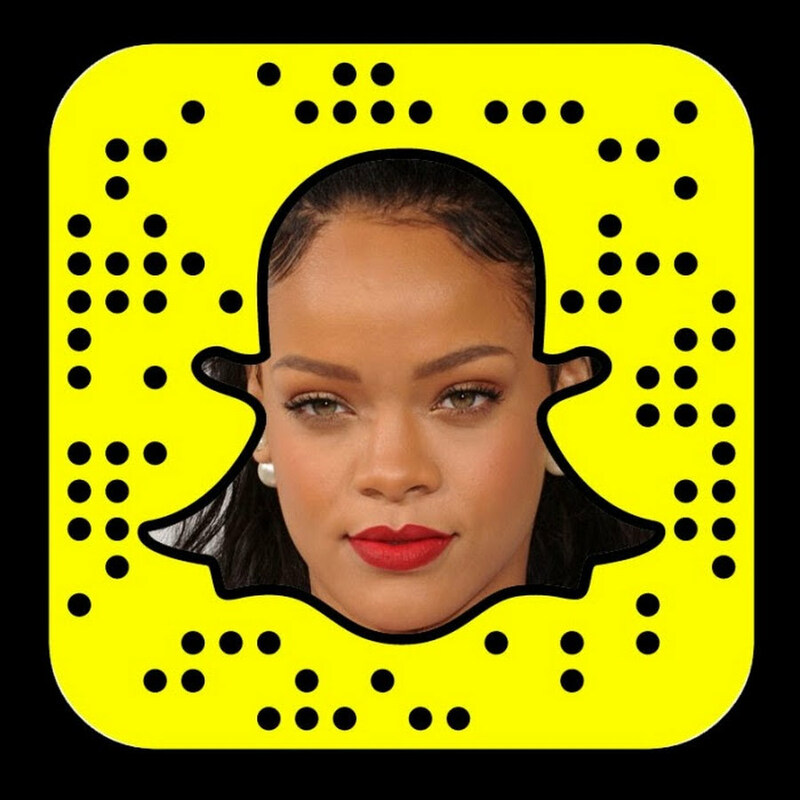 Rihanna won’t accept Snapchat’s apology and said they did it intentionally. Rihanna went to Instagram to let her fans know how she felt about the whole ordea,l and she said, “This isn’t about my personal feelings, cause I don’t have much of them…but all the women, children and men that have been victims of domestic violence in the past and especially the ones who haven’t made it out yet…you let us down!” Snapchat responded to Rihanna’s post and said that it was a disgusting thing and it would never happen again. Even though most people watch the Oscars because of the great movies, people should be paying more attention to the dresses worn by celebrities. The styles weren’t only expensive, but also stunning. Tiffany Haddish, a comedian and actress, paid tribute to her dead father by wearing a gown that represented her Eritrean roots. Viola Davis, the stunning actress, wore a gorgeous bubblegum-pink dress, which made her reach the top of the best dressed list at the Oscars. The list of the best dressed celebrities is long. Lupita Nyong’o lived up to her reputation as being one of Hollywood’s most fashionable individuals, when she arrived to the Oscars in custom Atelier Versace. The Black Panther star paired the look with a Versace clutch handbag, and Niwaka jewelry. Actress Zendaya, pulled her hair into a topknot, and she paired it with a plum smokey eye, and neutral lipstick. She wore an elegant violet dress, showing her arms, and then pairing it with Niwaka earrings and shoes. The majority of the celebrities focused on their hair rather than their outfits. For example, the Get Out star, Allison Williams, styled her brunette bob with an old Hollywood wave. Her hairstylist, Peter Lux, used Goldwell’s Kerasilk shape spray. She finished her fantastic Oscar look with a shimmery rose gold eyeshadow, and metallic pink lipstick. Laura Dern, Allison Janney, Helen Mirren, and Emma Stone all had a side swept hairstyle. Taraji P. Henson came to impress. She came wearing a Grecian dress. It was really flowy, and it showed a lot of skin. Her skin looked very smooth and nice. She said she applied Vaseline and Coco Radient Lotion on her body. As for her makeup, she had on silver metallic eyeshadow, and plum lips. As for her hair, she had it flat-ironed, and used Oribes Gold Lust Nourishing Oil to finish her look. Taraji delivered those looks really well. 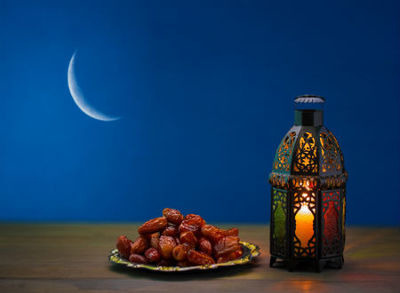 Ramadan begins at the start of the ninth month, of the Islamic lunar calendar. It is determined by the sighting of the crescent moon; there are actual moon-watching committees all around the world to make sure there aren’t any confusion on when the correct date is. Once the crescent moon is seen, the announcement of Ramadan is shared with all Muslims around the world through the news and radio. Ramadan this year will be on May 17th. Ramadan is the month where Muslims fast from sunrise to sundown. Ramadan is a holy month to Muslims; instead of going out to eat it is recommended that you eat at home with your family. Muslims are required to fast because it is one of the five pillars of Islam. Muslims must fast if they are mature and healthy for the full day. Muslims fast as an act to worship God, and as a chance to get closer to God. They also fast and to show sympathy to those in need, and they are required to give zakat (charity) to those who need it, if they are able. The reason why Muslims fast is to achieve Taqwa. Taqwa is an Islamic term for being conscious and cognizant of Allah, of truth, of the rational reality, “piety, fear of God.” It is often found in the Holy Quran. 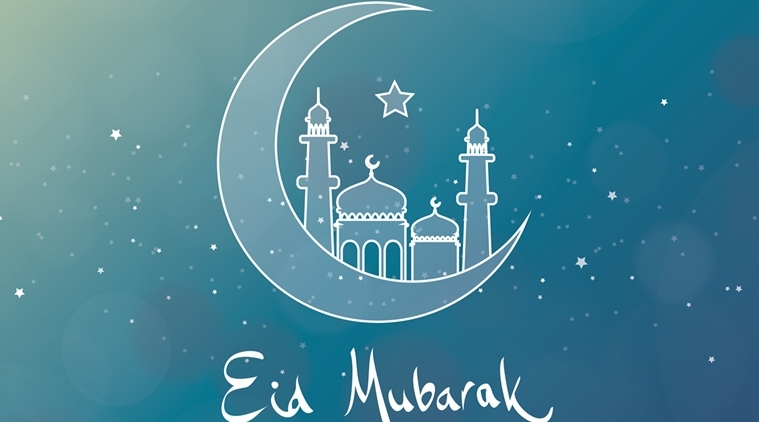 It is through fasting that people become aware of how much they have, and become conscious that not everyone in this world gets three meals a day. They learn to appreciate all that God gave them. Shape tape concealer was one of the the best products of 2017; there weren’t any negative reviews on the concealer. The concealer was lightweight, full coverage, long lasting, and was cruelty free. It retails for $27 and contains 10 ml of product, so the concealer was definitely a hit. 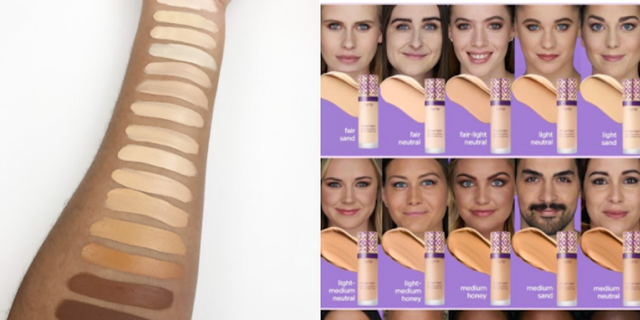 It was such a hit, that Tarte decided to come out with a shape tape foundation. That’s not all, Tarte decided to come out with two formulas for the foundations, matte and hydrating. The matte foundation provided an oil-free, full-coverage pick. The hydrating foundation was for people who enjoyed a dewy look. This information was provided in the teaser they had out, which excited everyone until it finally came out. Many believed that the foundation would be a success, and would probably be sold out fast, since the concealer was sold out in 20 minutes when it first came out. But many were disappointed by the product when it came out. The review on the foundation tape was so bad that people figured out that the dewy foundation Tarte launched was a foundation they came out with a couple of years ago, and just repackaged it. A lot of light skin beauty influencers were also furious with Tarte, and they are boycotting the company until they come out with foundation for women of color. Women of color, who found shades that matched them, said the foundation was either too orange or looked ashy on them. Another con is that the matte foundation dries too quickly so it’s hard to blend it. The only thing people seemed to like about the foundation tape is that it is lightweight, full coverage, and it can be worn for 12 hours. Tarte has seen a lot of the backlash the foundation has received, and are working on making more shades for women of color. They have also apologized for only coming out with three shades for them. In the future, they hope that they can fulfill the expectations of every shade in the color wheel, and that they will think twice before putting anything out. 2018 is the year for new resolutions, and not resolutions you say you’ll do but never do. 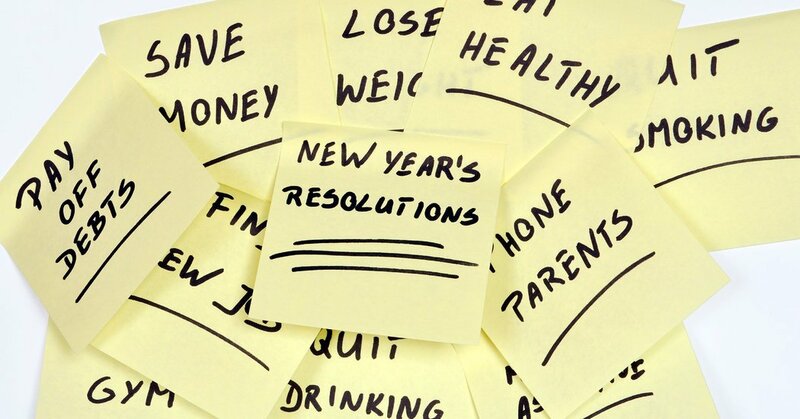 Here’s a list of resolutions to keep in mind for the new year. Number one: Self love: always know to love yourself, you are your own best friend. Don’t look down on yourself, don’t talk bad about yourself, always keep a positive attitude about yourself. Number two: Write down things about yourself that you appreciate: trust me when I tell you it helps boost your self esteem. And you’ll be happier, and it’ll keep you steady for the rest of the year, and possibly your whole life. Another good New Year’s resolution is to stop procrastinating. We all know how to avoid doing what we are suppose to do. Whether it’s school related, work, or even personal things. You can make a “To Do” list to help you stay productive and remain focused on your work, even if you don’t want to. The beginning of the year is a great time to start a healthier lifestyle that you have been talking about. Start to eat less junk food, and more healthy food. Try to exercise at least 30 minutes each day, and by the end of the month you would see incredible results that will motivate you to continue following this new lifestyle you established. Another New Year’s resolution you might have is doing well in school. You might not be happy with the way things are going at school, with your friends, with your grades and classes, or even homework. You can write a list, or get a planner and write in it daily so you don’t get behind. You can use your smartphone to write your reminders. You can get a piece of paper and stick it on your fridge with all the homework you have to do. There are plenty of ways to help you catch up in school and remind yourself of what you have to do. There are plenty of New Year’s resolutions you can make. You can make one for whatever you want to fix, or do better, or just something you want to start doing. Just make sure to stick to it and try hard. Many people look forward to winter because of the different outdoor things they can do. Different things you can do are; spend the day ice skating, go sledding, build a snowman, have snowball fight etc. ; basically, you can do anything that involves having fun. Many people don’t know that sledding can be an exercise. According to Farmers Almanac “Sledding can actually burn more than 450 calories per hour, much of it from trudging back up the hill once you’ve reached the bottom.” Next time you go sledding, have fun and know that you did your daily exercising. 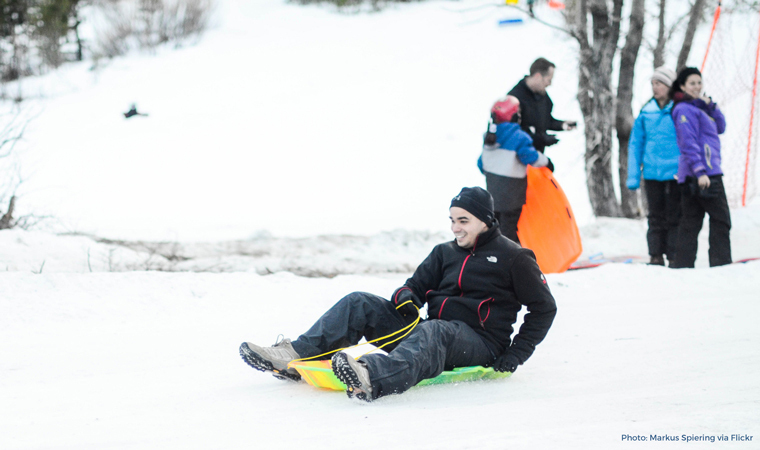 Sledding is fun when there are friends involved, so grab a really big snow sled and go sledding with your pals. If anyone tells you you’re too old to build a snowman, or to have a snowball fight, ignore them and go out and have fun. Save some of your holiday money and go out and have fun. Ice skating is not always so much fun, nothing is more terrifying than skating on ice, but hey, you only live once, so go out and try it. You could hold onto your partner’s (mother, Dad’s, etc.) hand to feel more comfortable, and after awhile you get used to skating. Creating a snow angel is fun for anyone of any age. It’s free. All you need is a pile of snow (the ground), and some snow pants (dress for the weather, you don’t want to get frostbite). Lay on the ground on your back, and start to move your legs and arms up and down for a few seconds. When you’re done, get up and look at your snow angel, and enjoy the beautiful little thing you created. It’s always fun to be outside with other people: your friends, siblings, and even your parents. Snowball fight! Hurry, grab your gloves and a jacket, and go outside and get some snow, and start throwing at your siblings. Come on, hurry, before they get you. Snowball fights are always fun; you’re throwing snow for goodness sake! Doesn’t that sound fun? Well, those are some great ideas of things to do during the winter.